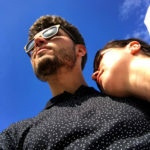 Spring, or better said early summer, offers a few long weekends, thanks to some holidays, that can be used for short trips in the surrounding area. No sooner said than done. 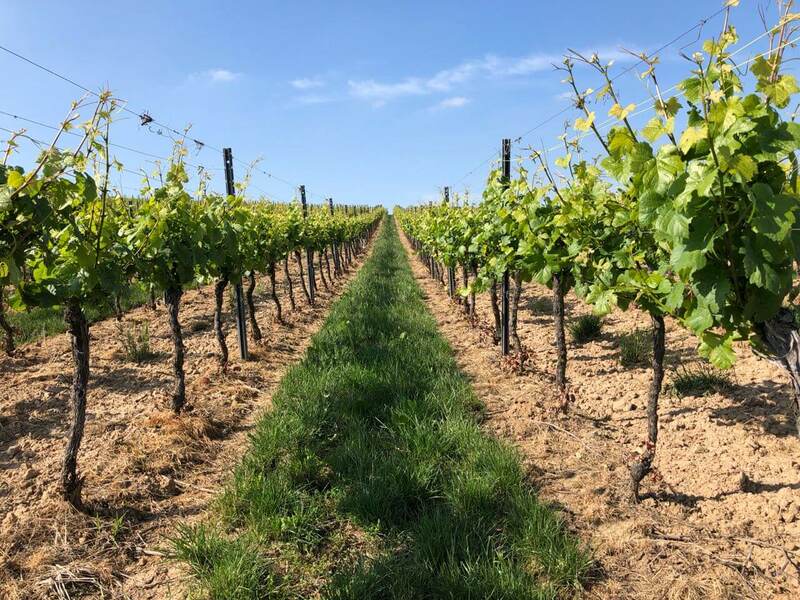 Our plan was to participate in a wine-tour in the Zellertal which is located in the border region of Rhine-Hesse and Palatinate and visiting the winery Rainer Giessen. The hotel for the weekend was Gästehaus Maurer in Hohen-Sülzen. A nicely familiar accommodation with spacious and very clean rooms was awaiting us. The highlight of this hotel was the shuttle service. The man of the house Maurer offers a transfer from the hotel to the vineyard and back to the hotel in the evening after the wine tasting for 2€ per person. Nobody has to drive. Everyone can try every wine. That was the plan. Ingenious. The wine tour started at 16:00 h at the foot of the vineyard. The vintner Rainer Giessen and his wife Anette awaited our group of seven people with a glass of their very tasty Rosé-Secco SanSi which fit perfectly the sunny day we had. After a short introduction of the participants and a very charming introduction concerning the schedule by Rainer our group started to move towards the shallow hills of Palatinate. 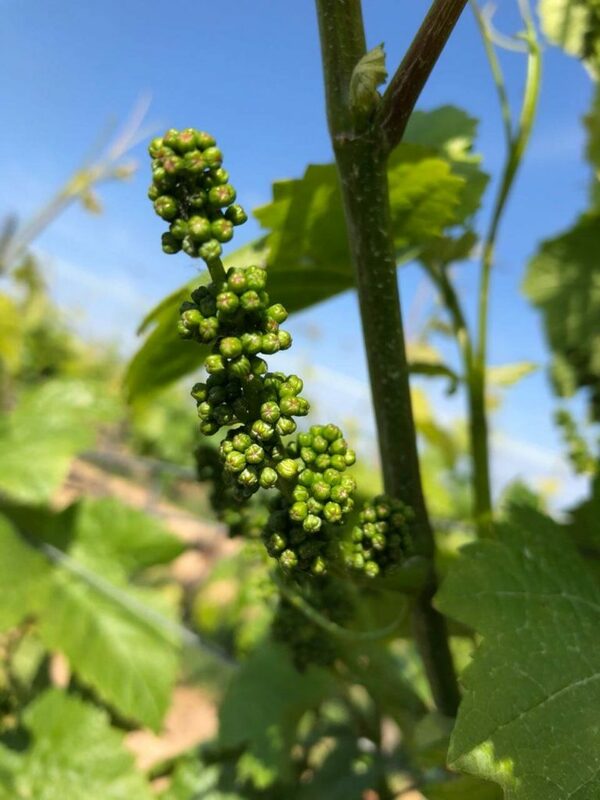 During our walk Rainer explained a lot about how to manage a vineyard, the variety of grapes that are cultivated there and also about the new trend on the wine market. 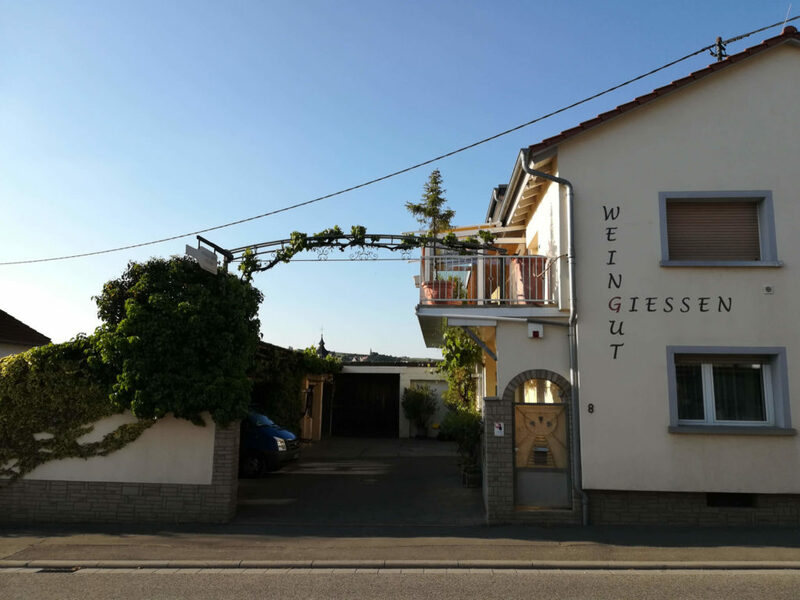 This walking tour passed through the border region on Rhine-Hesse and Palatinate. Depending on where you stand at that moment you see either Rhine-Hessian grapes or grapes from Palatinate. Rainer and his wife placed bottles of wine along the vines that corresponded to the grapes that were growing there. A great idea for presenting the wines in a vivid manner. After about an hour we reached the “intermediate camp”, located on an elevation with a beautiful view over surrounding area. 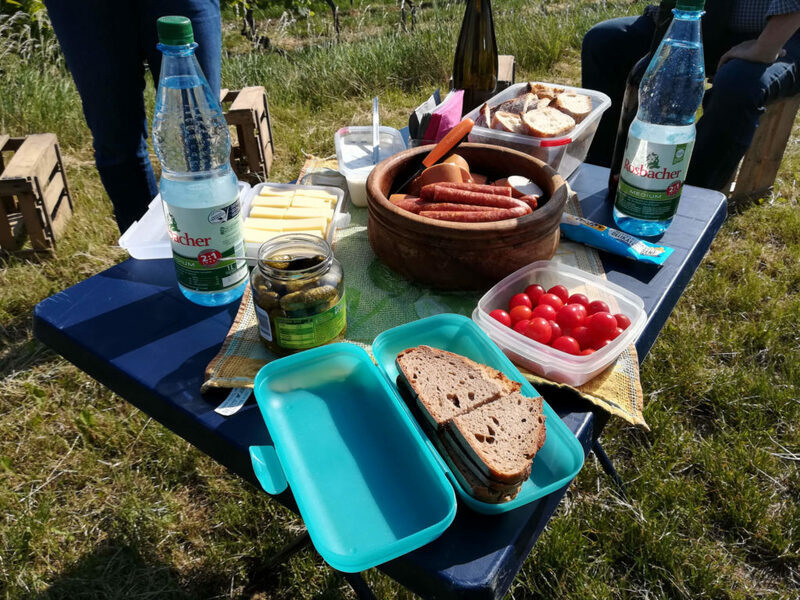 Rainer and Anette prepared a summer picnic on wine boxes and served three different wines along with some cheese, bread, sausages and other hearty things. This little meal is necessary regarding the wide selection of wines we were about to sample throughout the day. Anette told us some interesting details concerning the treatment of the vines before we took up on our walk again. 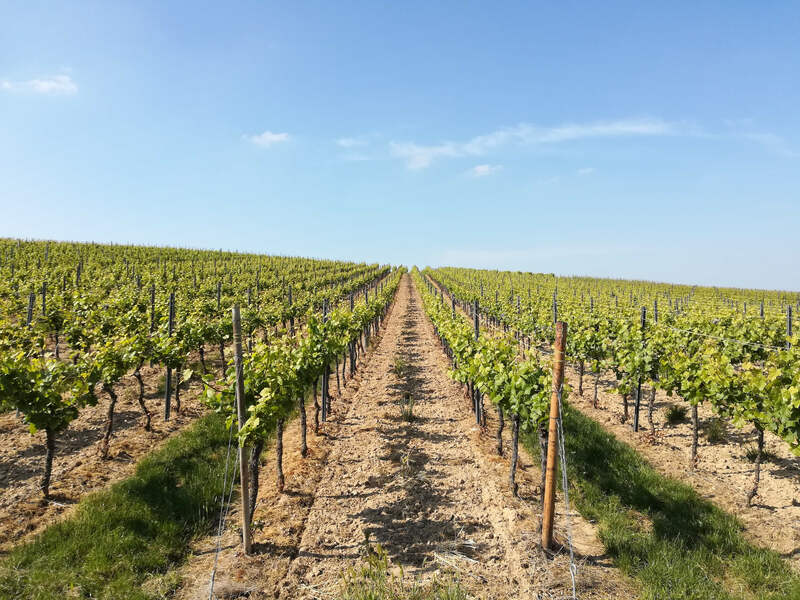 We walked past Dornfelder, Regent, Morio, Riesling, Cabernet Blanc and many more. 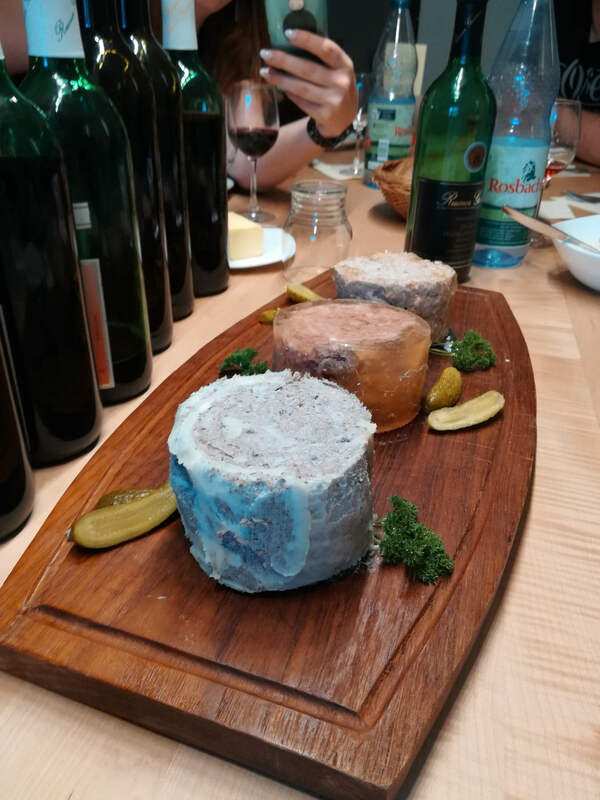 Of course, we did not just walk by, Anette and Rainer made sure that we all got to taste the final products as well. After about four hours we slowly and also a little tipsy approached the Winery Giessen. Once we got there they showed us what happens to the grapes after the harvest, the huge tanks where the wine is made as well as their filling and bottling system. 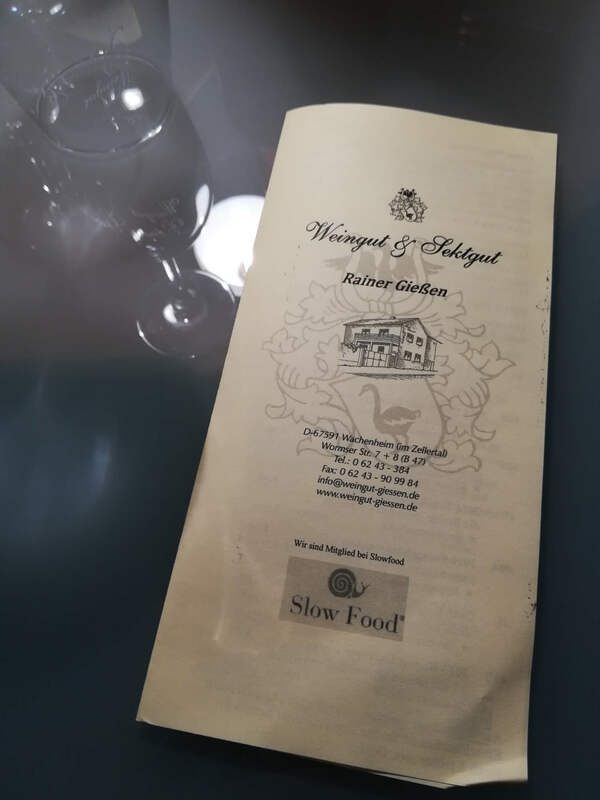 In the end, Rainer and Anette served a hearty dinner and their broad wine-menu was put under close scrutiny by us. We were able to sample every single wine on the menu. The choice was amazing. Everyone has his or her preferences when it comes to wine but I think I can say that they all tasted great. Unfortunately, that was the reason why not all participants of the group were able to end the evening in a classy manner. But considering that tasty choice of wines it was no shame. You really had to try to taste all of them. It was worth it. 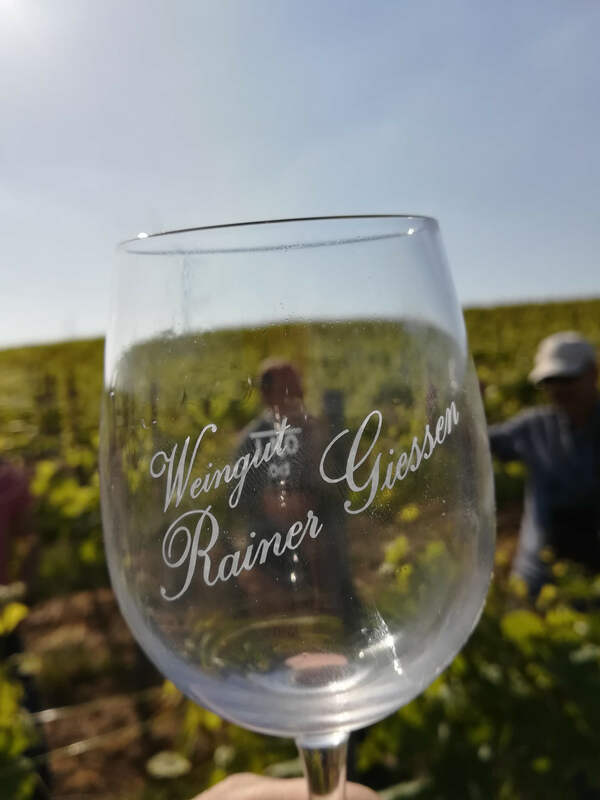 At this point we want to thank Rainer and Anette again for that awesome and heartily day that we got to spend with you in your vineyards and winery. We all felt very welcome and appreciate your wines very much. Around 23:00h we were picked up by our shuttle service and were safely taken back to the hotel. The following morning started with a nice breakfast at Gästehaus Maurer that left nothing to be desired. 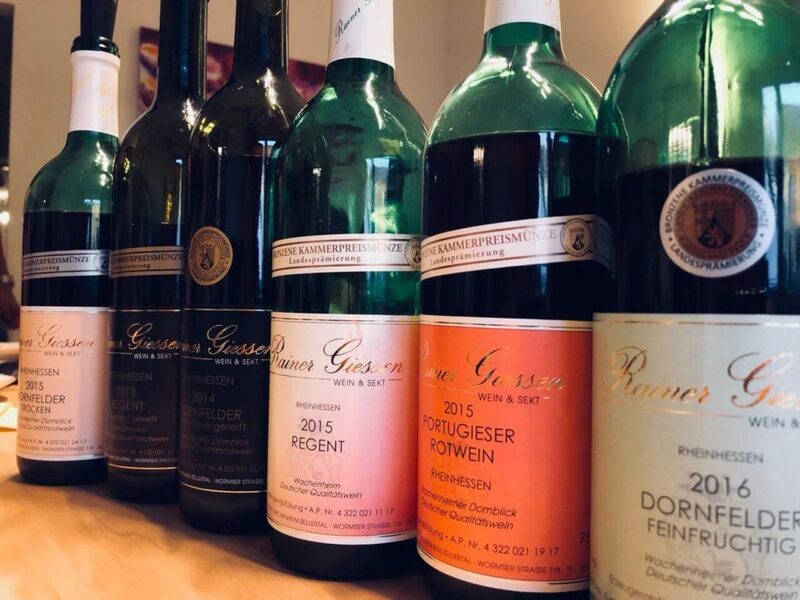 Before the group was about to split up again in various directions we all met again at Winery Giessen to test the capacities of our trunks by filling them with our wine-favorites (Regent, Dornfelder Barrique and Morio Muskat). It was an absolutely recommendable weekend activity, or better said, a nice wine-break from the daily routine. ← How do I get internet in Cuba?